Our extensive tomato range has been designed to give you the best Italian choice in the most convenient way. 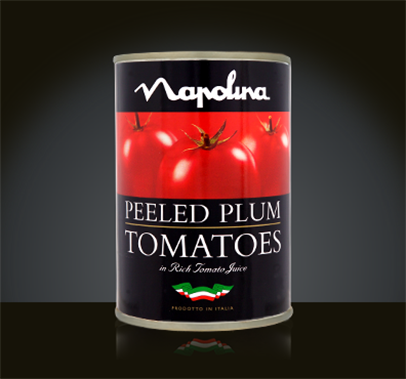 We have a number of popular recipes with tomatoes that use our wide range of canned tomatoes, passata and puree. *(Source: IRI value share 52 w/e 17th June 2017). 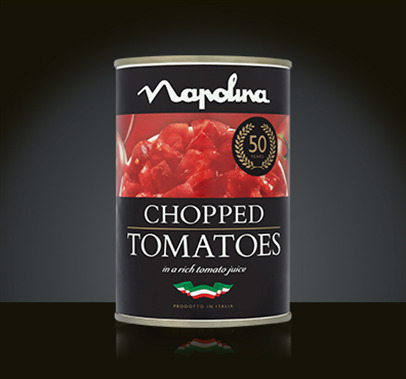 Napolina chopped tomatoes are the perfect Italian store cupboard staple, available to you in a wide variety of packaging and sizes. For added flavour and convenience, there's also Napolina chopped tomatoes with added garlic, herbs or chilli. Our delicious plum tomatoes are grown in sun-drenched Italy. Only picked when they are fully ripe, they have a rich, intense flavour that will bring a real taste of Italy to all your cooking recipes. 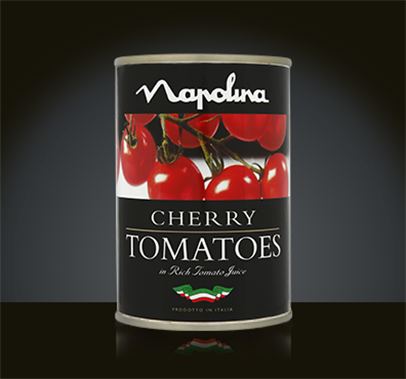 Napolina also offers delicious cherry tomatoes which are delicate, flavoursome and perfect for pasta salads.